부석사 무량수전 동쪽에 세워져 있는 석탑으로, 2단의 기단(基壇) 위에 3층의 탑신(塔身)을 세운 모습이다. 기단에는 각 면의 모서리와 가운데에 기둥 모양의 조각을 두었는데, 아래층 기단은 가운데에 2개씩의 조각을 두고, 위층 기단에는 하나씩을 두었다. 탑신의 몸돌과 지붕돌은 각각 하나의 돌로 되어있는데, 몸돌은 모서리마다 기둥 모양을 조각하였으며, 지붕돌은 밑면의 받침이 5단으로 통일신라의 전형양식을 따르고 있다. 문무왕 16년(676) 부석사를 창건할 당시에 만들어진 것으로, 아래층 기단의 너비가 매우 넓고, 1층 몸돌 또한 높이에 비해 너비가 넓어서 장중해 보인다. 1956년 해체하여 복원할 때 철제탑, 불상의 파편, 구슬 등이 발견되었고 이 때 일부 파손된 부분은 새로운 부재로 보충하였다. 탑은 원래 법당 앞에 건립되는 것이 통례이나 이 석탑은 법당의 동쪽에 세워져 있어 눈길을 끈다. 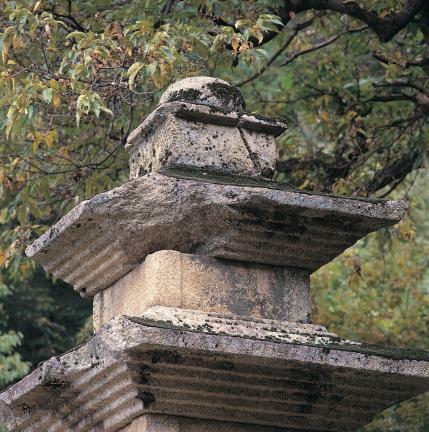 This stone pagoda standing on the east of Muryangsujeon Hall, the main hall of Buseoksa Temple, was made at the same time when the temple was built in the Unified Silla period. It is said that a great monk named Uisang built this temple in 676 as ordered by King Munmu in the king’s 16th year reign. 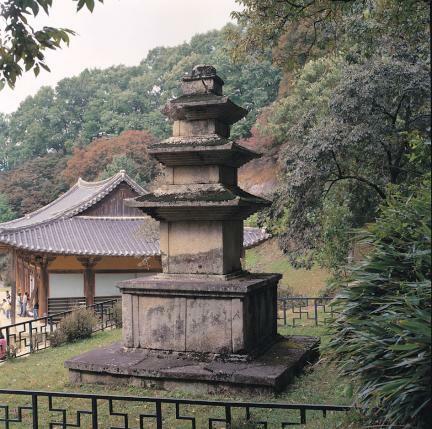 This three-story structure on a double-tiered base follows the typical style of stonework of the Silla period. 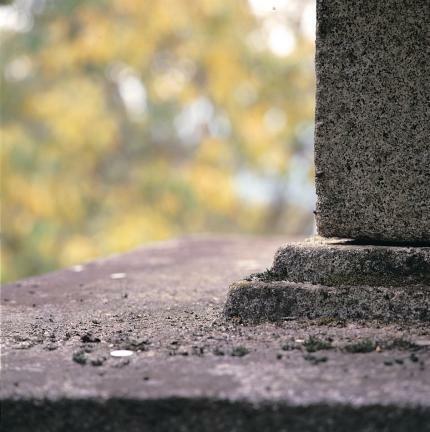 The main body and roof stone of each story are made of a single stone block with five-stepped cornices. 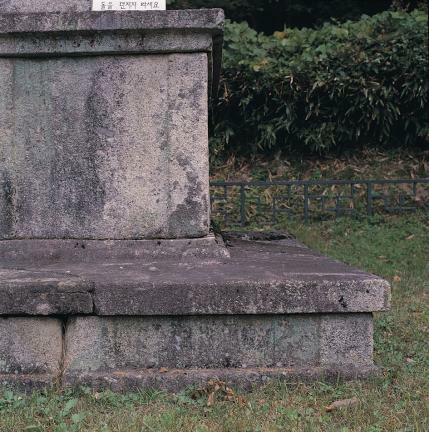 It is typical of stone pagoda, although the width at the base is disproportionately big for its height. 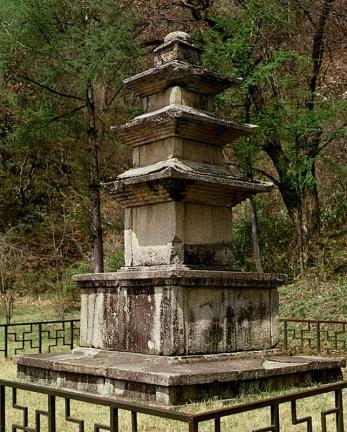 While most pagodas are erected in front of the main hall of a temple, this one stands to the east. 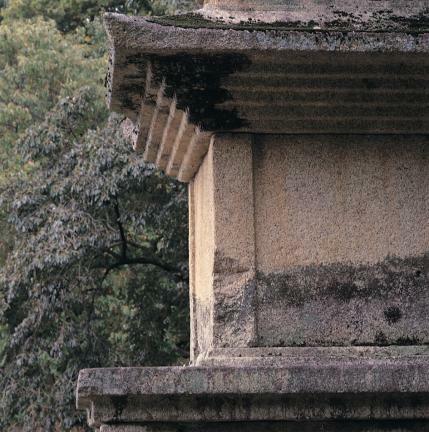 When the pagoda was dismantled for a repair work in 1956, a miniature iron pagoda, fragments of a Buddha statue and beads were discovered inside.